For Dr Rob Burnett (B.D.S. ), having the opportunity to problem solve, be creative and artistic and help people inspired him to become a dentist. 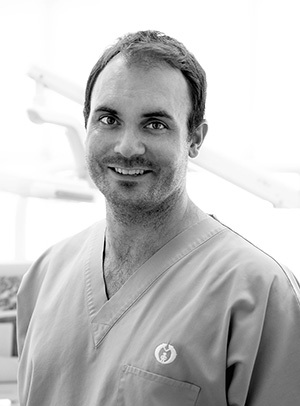 In addition to earning a Bachelor of Dental Surgery from Adelaide University in 2006, Dr Burnett obtained a Graduate Diploma in Clinical Dentistry from the University of Melbourne in 2013. To stay abreast of the latest in dentistry, he regularly takes professional development courses, both locally and internationally. Dr Burnett is a committee member of the Australian Prosthodontic Society (Vic Branch) and a member of the Australian Osseointegration Society and the Australian Dental Association. He regularly attends ADA group meetings and lectures. When he’s not at Dental Health Care Associates, Dr Burnett enjoys spending time with family and friends, keeping fit and getting outdoors. He also recently finished building a little wooden boat. We aim to build lifelong relationships with each and every patient, offering a wide range of dental procedures to help them achieve and maintain long-lasting oral health. Schedule your appointment today!